My recently obtained TEDELEX TE-7000 CB Radio SSB Base Station. I have been using a Uniden PC122XL with a Kenwood MC86 Mic to try to drive it up more than the 5-8watts it wants to put out. Also it drifts fairly badly as well which was annoying. So I decided to grab the Tedelex TE7000 that a local CB’er, Tony, had said he had for sale for a great price. The PLL in the Tedelex is a PLL02a, and the actual PCB is marked as a PTBM058COX. I dont have a PLL02A radio, but had many in the past that for one reason or another I had sold or swapped. I knew this was a 02A PLL, so knew it would be a great radio if working to optimum alignment, and it had sounded OK when talking to Tony on it from his place about 20 klms away. Taking it home and firing it up, I was getting reports that I was transmitting Off Frequency slightly by everyone, I wanted to slightly adjust the TX Frequency. After using my test equipment to align the TX Frequency, everyone commented that now I was on frequency I had better sort out the microphone problems as well. that had a great long flexible cord which I liked, but a bulky fistful of ECHO’s did not turn me on as I definitely prefer a Desk Mic. Especially when you turned the echo volume up from ‘O’ it started to squeal instead of modulate with any echo. 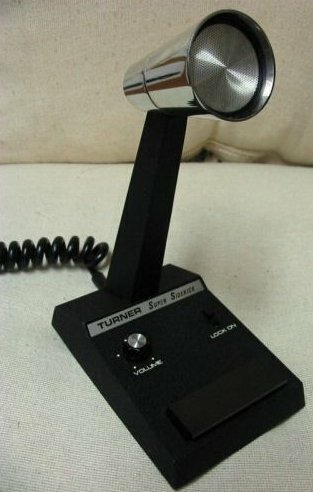 Personally I like listening to a well modulated signal with a slight hint of echo but not everyone does, so I decided to solve the problem by taking the cord from the Hand Echo Mic and adapting it to a spare Amplified Turner Super Sidekick I had converted years ago to work on my Sawtron 880 UHF Mobile 477Mhz FM Radio. With a bit of drawing out the conections and the required wiring, I connected the D-452 cord and mic plug into the Turner direct to the internal amplifier PCB. I had thought about intergating the D-452 echo guts into the base of the Turner S/S, but wanted to get on air in a hurry so maybe a project for next time. Would be a tight fit though, so maybe not. I do have a Datong Auto RF Speech Processor so maybe it will fit in that box ok and I can have more knobs to play with. Not sure how the audio will come out though Amplified Turner Super Sidekick! UPDATE 2012 JULY 15 – Gave Tedelex to my brother who is a full call VK3 Ham operator to use on 10Meters after converting the 02A PLL. I was thinking of using ThumbWheels on the PLL but decided that way is a pain even if you do some code conversion to freq readout, so thought about using a computer to drive it. I had interfaced a Commodore 64 to my CPI to use it as a scanning tranciever back in the 70’s so thought that may be the best way. Did a bit of Googling and found soomeone had re-invented my old wheel, and had free software as well using the parralel port on the PC. WINScanner software is intended to be used width HAM- / CB-Radio and radio-scanners. Using the PC Printer Port it is quit simple to make the freely supplied PC software program to control the radio by the PLL`chip. There will be more info here when we get underway on the project. The PLL in the Tedelex is a PLL02a, and the actual PCB is a PTBM058COX as marked. 2. RV1 located on the main board. All information is intended as educational for hobby purposes only. Any information supplied may not be accurate as it is sourced from online references. 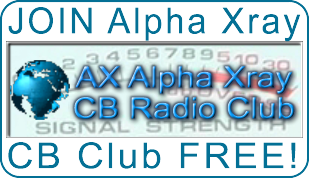 This entry was posted in ALL Articles, CB Radio Alignment, CB Radio's, CB Software Control, Tedelex CB Radios by Greg 43AX005. Bookmark the permalink. Wow, wonderful blog structure! How long have you been running a blog for? you made running a blog glance easy. The full look of your web site is great, let alone the content! 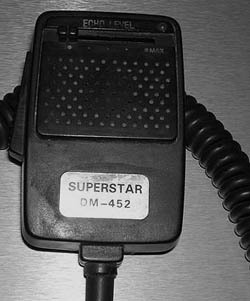 need turner super sidekick desk mic wire code for 6 pin lafette telsat ssb 140 base cb radio -Anyone help?